To a pegasus stallion, losing one's wings is almost as bad as being gelded. Lucky for Steelwing, his adopted sister, Diamond Drill "borrowed" some tech from The Order to make him a pair of jet propelled cybernetic wings. Made from various Glyos, Callgrim, Spy Monkey and other toy bits. Hand painted and clear coated. 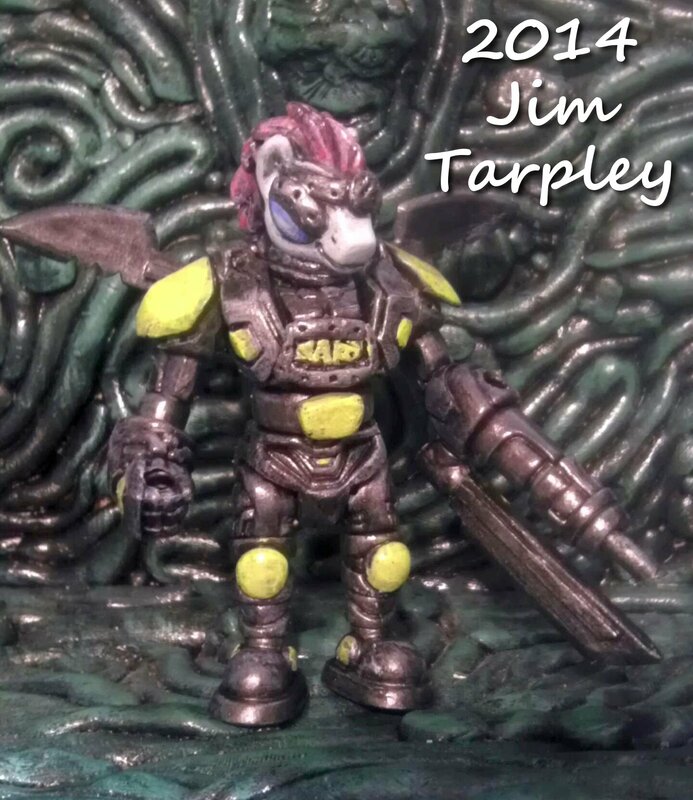 That looks like something out of warhammer 40k pony edition. It's actually from the Glyos system of modular designer toys. I just made custom head from a blind bag pony. Oh, Celestia, Mote. Don't tell me the Cyberponies got to you, too. .-. Oh, ‌Celestia, Mote. Don't tell me the Cyberponies got to you, ‌too. .-.